Each month this year I am focusing on a different kata (formal exercise) from one of the arts that we do here at Mokuren Dojo. 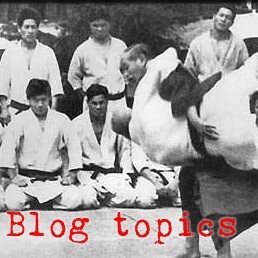 I have also been trying to shine a little light on some of the lesser-known kata that not everyone may have heard of. 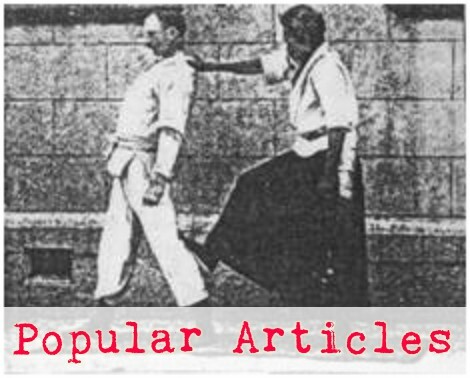 This coming month I will be doing a month-long focus on the Tomiki aikido exercise called Koryu Dai Ichi . (or as we affectionately call it, ichikata) to culminate in a seminar that I'll be teaching at Windsong Dojo in Oklahoma City on May 20th and 21st. This kata is not one that is typically used for ranking purposes in any of the clubs that I'm familiar with, but it does contain some interesting techniques and ideas - some of which are repeated in the other five koryunokata, and some of which appear quite unique. To get us started I thought I'd post a very nice vid of two of our British buddies running through the techniques. They might be mortified that I would use their video as an example, but I think this is a very lovely vid, with good energy, good pacing, and most importantly, it looks like they are having fun doing it.